"I Mascalzini" are the modern evolution of nonslip socks. The outsole, made of TR rubber featured by a sweet vanilla smell, is light, flexible as well as insulating against hot and cold; in addition, the tip and the heel ensure ensure a proper foot positioning while moving. 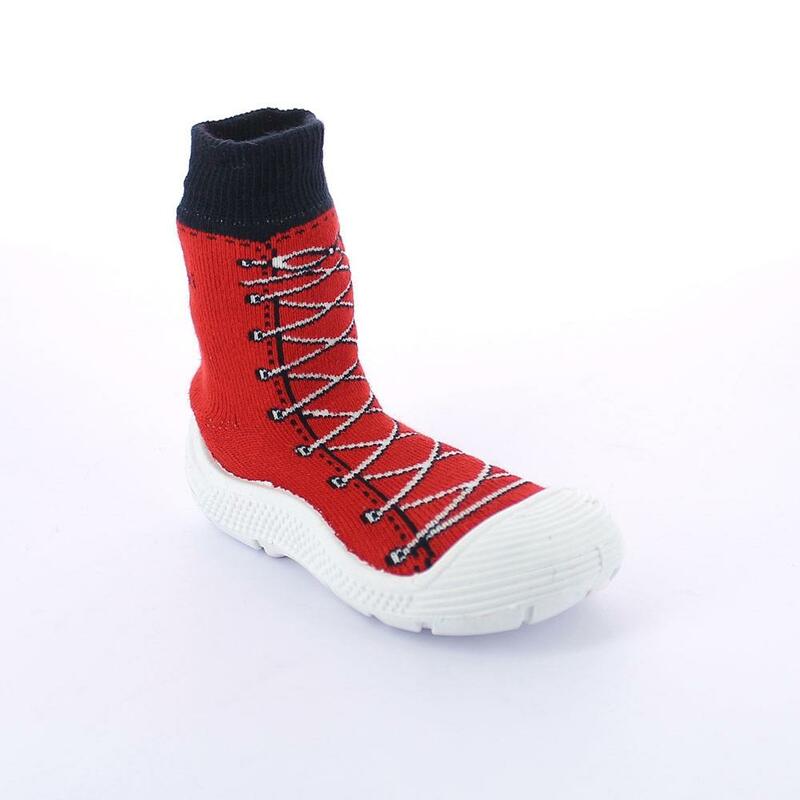 The sock, directly injected into the outsole, is composed of 85% cotton, 10% polyamide and 5 % elastomer. 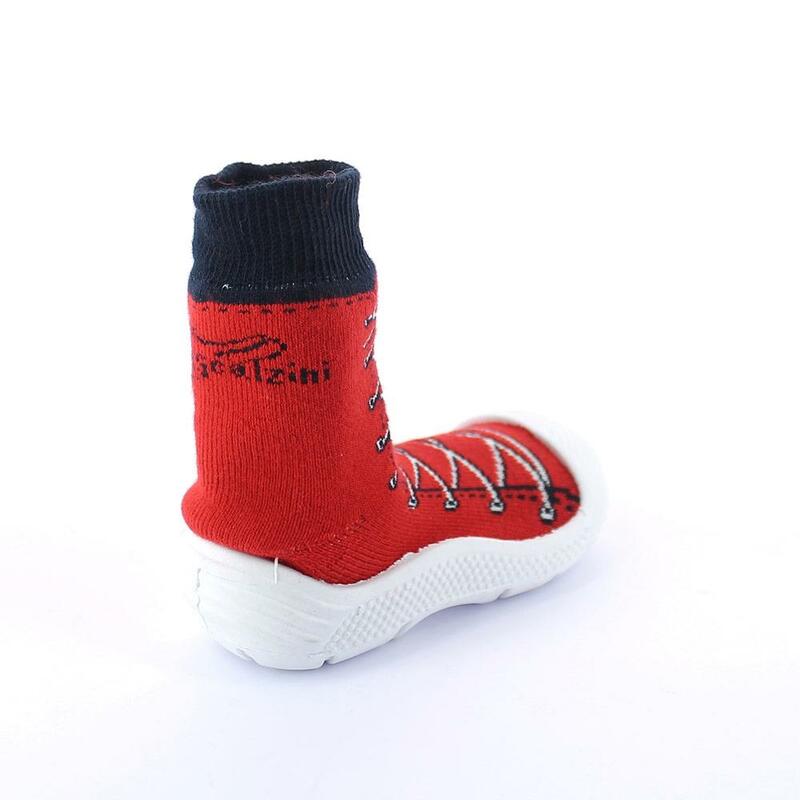 This footwear for children can be used both indoor and outdoor and is ideal for playing at home but also in the garden and in schools as kindergartens or nursery schools. The nonslip sock can be washed into washing machine at a temperature of 40 Celsius degrees. "I Mascalzini" are made in Italy and sold in an eco friendly packaging, with due regard for environment. 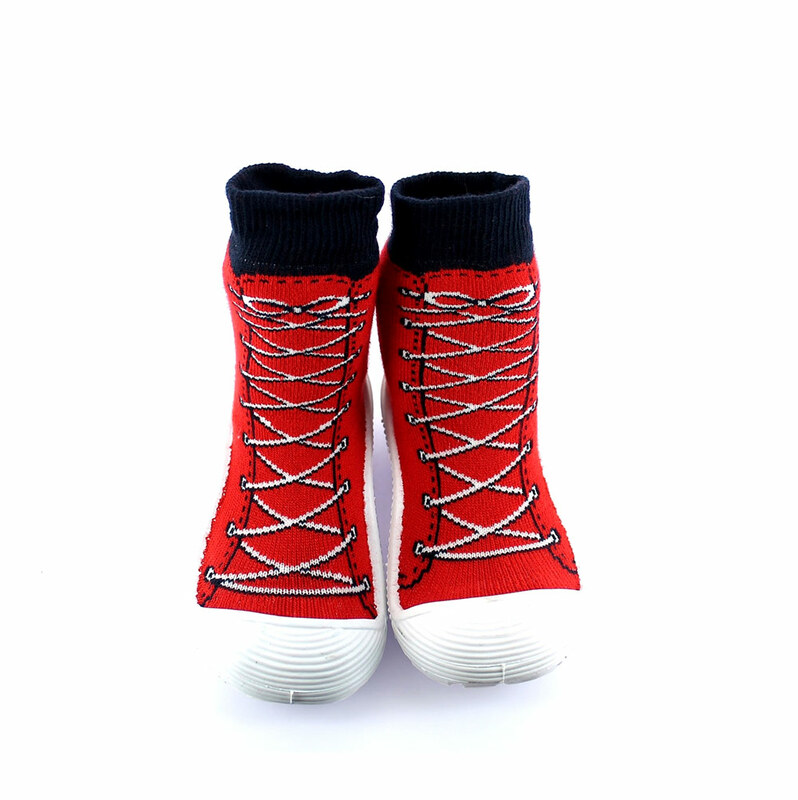 Maresca's Malcalzini are available in a wide range of patterns and colours; this is the variant consisting of the sock with drawing "scarpina rossa" (red light shoe) and white sole. Socks can be customized upon request.